Trad Thailand is the main gateway to the eastern Islands. Koh Chang, Koh Mak and Koh Kood are reachable by ferry from Laem Ngop. The Trat province is located in eastern Thailand. The Hat Lek boarder is the main gateway to Cambodia and a popular place for Visa run for long stay tourists on Ko Chang or the other islands. Bangkok Airways offers direct flights to and from the small domestic Trat Airport to Bangkok. Another possibility to travel to Trad is by Bus from Thailand’s capital. The public busses are leaving from Ekkamai, Morchid and Suvanabhumi Airport. From Trat Bus terminal you can catch taxis to the ferry pier which is the onliest gateway to Ko Chan, Koh Wai and the other islands of the KC archipelago. If you want to get there by car than you can travel on the highway 3 which connects Trad city with Chantaburi, Pattaya and Bangkok. 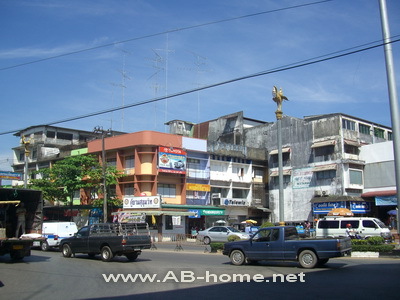 Trat town has some guest houses, hotels and resorts for a stay in eastern Thailand. 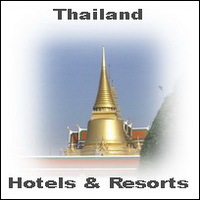 The Pop Guest House is a good Thailand accommodation option for budget traveler in Asia. If you like a bit more comfort than is the Golden Cliff Beach Resort a good choice on the mainland of Trad Thailand. The main attractions in Trat are the market hall in the center, the white beaches, temples and the typical Thai lifestyle which you can see in Trad Town. Also Thai Massage and Sea Food Dinners in one of the widespread sea food restaurants are famous things for Thailand holidays. For tourists who like to explore the mainland of the Trad province in Thailand are Klong Yai and Mairood good traveling stops in east Thailand.